Quilt Alliance Interview – updated! 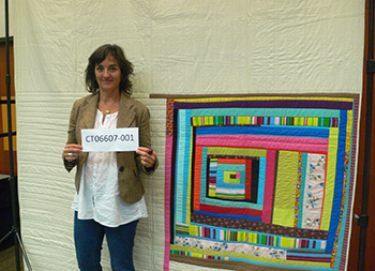 Denyse was interviewed by Meg Cox for the Quilters' S.O.S. (Save Our Stories) oral history project at Quilters Take Manhattan 2012, a fundraising event held at the Fashion Institute of Technology in New York City to benefit The Quilt Alliance. The Quilt Alliance's mission is to document, preserve, and share our American quilt heritage by collecting the rich stories that historic and contemporary quilts – and their makers – tell about our nation's diverse peoples and their communities. Visit their site to learn about all they do, participate in contests, and browse the Quilt Index archives.